Motorcycle sports, particularly motocross are hugely popular amongst kids and are often ground zero for their introduction into a life of motorcycling fun. We all agree that motorcycles are also dangerous and anytime you have kids and danger things get nerve wracking and uncomfortable for parents. Bottom line is that you need to ensure your child is protected and that they wear all their safety gear. First up your kids need to wear the appropriate kids motorcycle helmet. We know kids don’t like looking dorky or want to do what other kids do. This post focuses on helping you create an environment where your kids will want to wear their helmet and protective gear. You should always get the helmet with the best safety features. The best helmets are made of a durable, lightweight outer layer that will offer supreme protection during accidents. It should also be lined with shock absorbent fabric to protect your child’s brain from a bad fall. Your child looks up to you and probably wants to be just like you. If you want your child to use his helmet, you should also use yours. You should use your helmet during even the shortest of trips and elaborate to your child that you absolutely love wearing a helmet – even if you don’t. 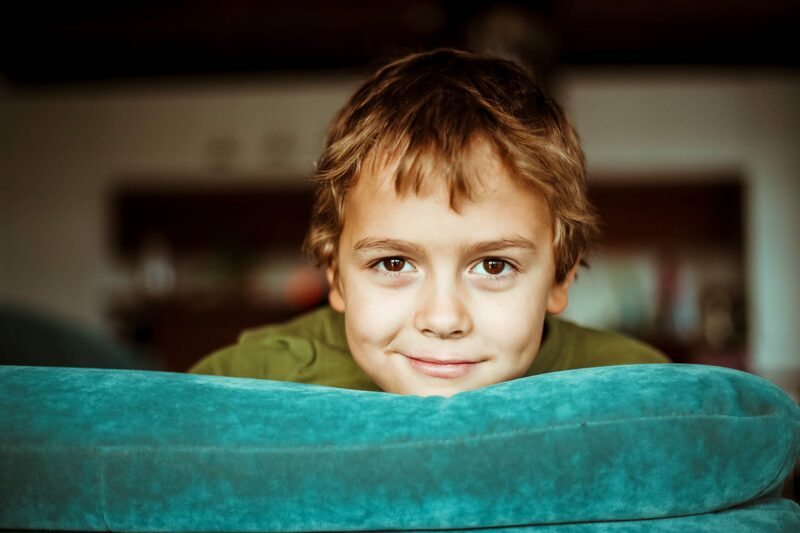 Kids are a lot smarter and can handle a lot more than you might think. You should tell your child exactly why it is important to wear a helmet and inform them of the terrible injuries that could happen if he does not wear a helmet. Tell him that he could end up in a wheelchair or much worse. He should understand the importance of the situation. The rules for your child’s biking expeditions should be simple. No helmet. No bike. That is it. Never let your child get away with riding his motorcycle without wearing a helmet, even for the smallest of distances. If he refuses, he should not be allowed to ride. 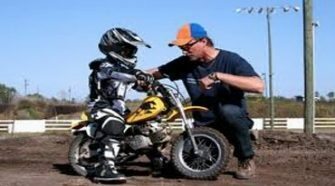 You should reward your child for wearing a helmet to help boost his confidence in helmet wearing so he will wear it even when you are not around. Tell him – Always praise your kid when he is using the right safety measures. Tell him how proud you are of him for wearing his helmet and what a great son he is. Spoil him for good behavior – A great way to get your child eager to wear his helmet is to spoil him a bit after a riding session. You can buy him a small gift or get his favorite takeaway snacks. A good reward will ensure an argument free riding session. Children often like to do what their friends are doing. If their friends think it is uncool to wear a helmet, he is also likely to stop wearing his. You should encourage your kid’s friends to also wear helmets or perhaps speak with their parents about the dangers of letting their kids ride motorcycles without helmets. Your involvement in your kid’s friend’s safety could end up saving a child’s life. There are a lot of gorgeous kids motorcycle helmets on the market. 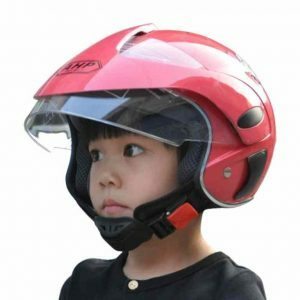 The designs and shapes vary greatly and your child is bound to find a helmet that looks fantastic. It is important to regard your child’s personal preference when choosing a helmet or he might end up refusing to wear it.